Lebanese Garlic Sauce is a thick, creamy sauce with an intense garlic flavor. It is wonderfully delicious served on grilled meats, falafel and shawarma but it can be used on practically anything. Try it on pasta, pizza, stirred into steamed veggies or as a spread for sandwiches. It also makes a to-die-for dip for french fries. The possibilities are endless. Watch our video to see how it is made. 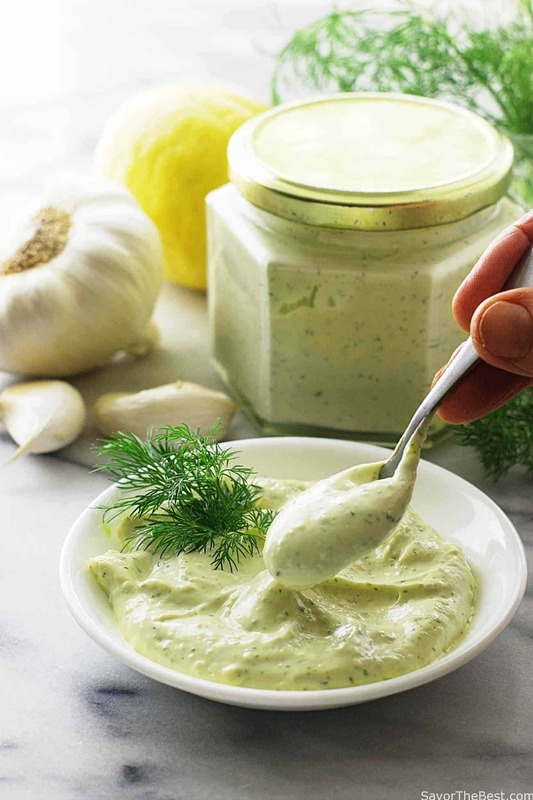 Lebanese garlic sauce is fluffy and thick with an intense garlic flavor. I have been buying a Lebanese garlic sauce at Central Market occasionally, and I stress the ‘occasionally’ as it is almost six dollars for a dinky little 8-ounce container. So, I was excited when I saw a garlic sauce recipe in my new cookbook entitled, Comptori Lebanais by Tony Kitous, There are some great sounding Lebanese recipes in this book and I have already picked out a few that I want to try. This garlic sauce is also known as toum which happens to be the Lebanese word for garlic. During a recent trip to Costco, I purchased a huge bag of peeled garlic with the intention of making my own garlic sauce. The whole bag of garlic cost less than seven dollars so my homemade Lebanese garlic sauce is very economical compared to the commercial container. The garlic sauce will use a good cupful but this bag of garlic will keep in the fridge for a long time. Lebanese Garlic Sauce has many uses. 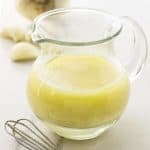 Homemade Lebanese garlic sauce is very similar to making mayonnaise and you just have to take your time drizzling in your oil and lemon juice. Patience is the key to this recipe… don’t rush. It eventually comes together into a thick, creamy delicious sauce. HOW DOES LEBANESE GARLIC SAUCE TASTE? 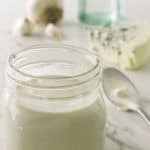 This Lebanese Garlic sauce has a nice creamy texture with a lemony tang and an intense garlic flavor. It is addictive but a little goes a long way. Did I say it has an intense garlic flavor? This is the real deal! This sauce is not for the faint of heart. 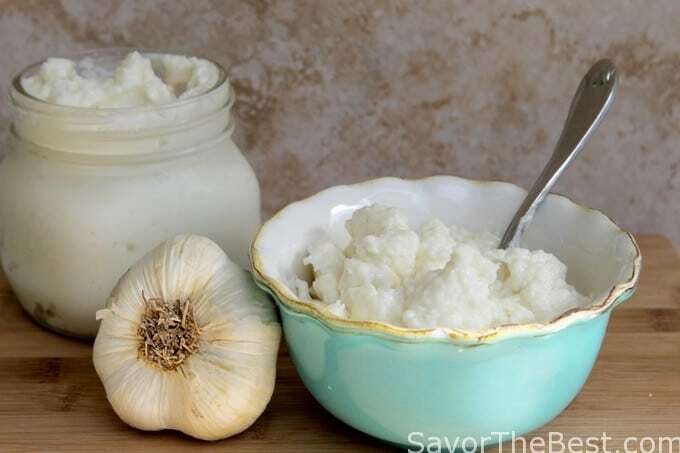 It packs a powerful punch but if you love garlic you will LOVE this sauce. Plus, it will keep in the refrigerator for at least a month. HOW CAN YOU USE LEBANESE GARLIC SAUCE? This sauce can be used as a dip, a spread, a pizza sauce or a pasta sauce. It can be used like a mayonnaise on sandwiches. As a matter of fact, the texture and consistency of this sauce is very much like mayonnaise but with the bonus of being egg-free for anyone with egg allergies. You will love the versatility of the sauce. I mixed several tablespoons of this sauce with additional lemon juice to thin it out and used it with our grilled lamb kabobs. That! was really delicious! As mentioned earlier, you must take your time when you make this sauce. If you rush the process the mixture will not emulsify and you will end up with a thin marinade. That wouldn’t be so bad actually but what we are after this time is a thick, fluffy, creamy, delicious spread with somewhat of a mayonnaise consistency. So take your time with this process and give the mixture time to emulsify. It should take you 7 to 8 minutes to add all of your oil. Watch our video below to see the process. You also want to start with dry equipment. If your spatula, food processor or measuring cups have even a drop of water it could prevent the mixture from emulsifying. Now that I have said that, if you do happen to get water in the mixture, all is not lost. You can still recover. 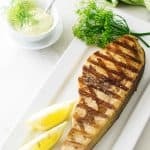 Water and oil actually can emulsify but if water gets in the mixture, the process will be greatly lengthened and you may feel like giving up and using the mixture as a marinade. So, make this process easier and start with dry equipment and add the oil VERY SLOWLY. You will love the results. How many calories are in Lebanese garlic sauce? 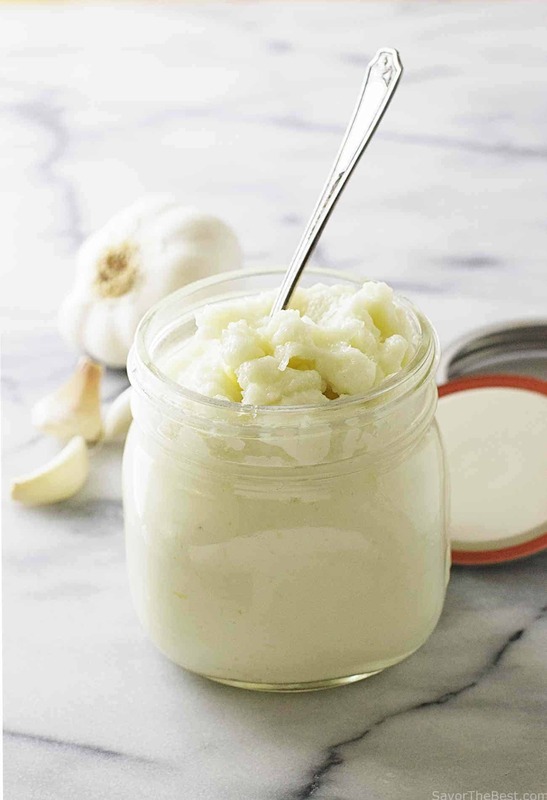 One tablespoon of Lebanese garlic sauce has 95 calories, 10 grams of fat, and only 1.5 grams of carbs. Since this garlic sauce is a stable emulsion of oil then the calories come from all the oil. 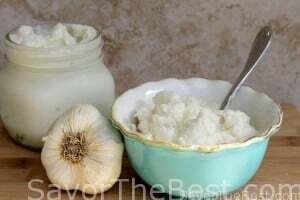 Lebanese garlic sauce is not a low-calorie sauce but it is a low carbohydrate sauce. Are you watching your carbs? You will love this sauce. If you’re worried about all the calories then remember that a little bit goes a very long way. One teaspoon only has 31 calories and that’s all you need for a sandwich or to spread on these grilled lamb kabobs. A thick creamy garlic sauce that has an intense garlic flavor. Wonderfully delicious served with grilled lamb kabobs and quinoa or rice. Try it on pasta, pizza or stirred into steamed veggies. 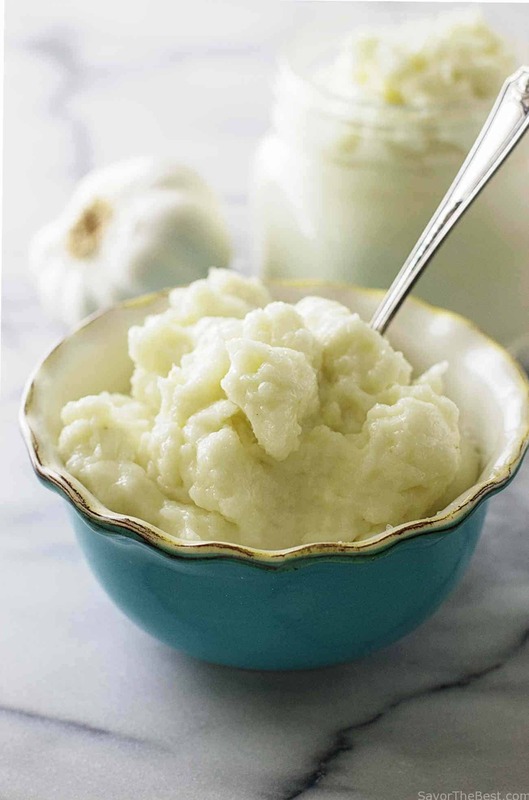 Add the garlic and salt in a food processor and puree until smooth, stopping several times to scrape down the sides. With the motor running, slowly drizzle 1/2 cup of the oil through the opening in the lid in a thin stream. Then, with the motor still running, pour in a teaspoon of the lemon juice. The mixture will begin to thicken a little. Continue alternating between ½ cup of the oil and a teaspoon of the lemon juice, waiting a few seconds between additions to give the mixture time to absorb, until you've added all of the oil and lemon juice. Do not rush, this is a process that will take about 15 minutes. 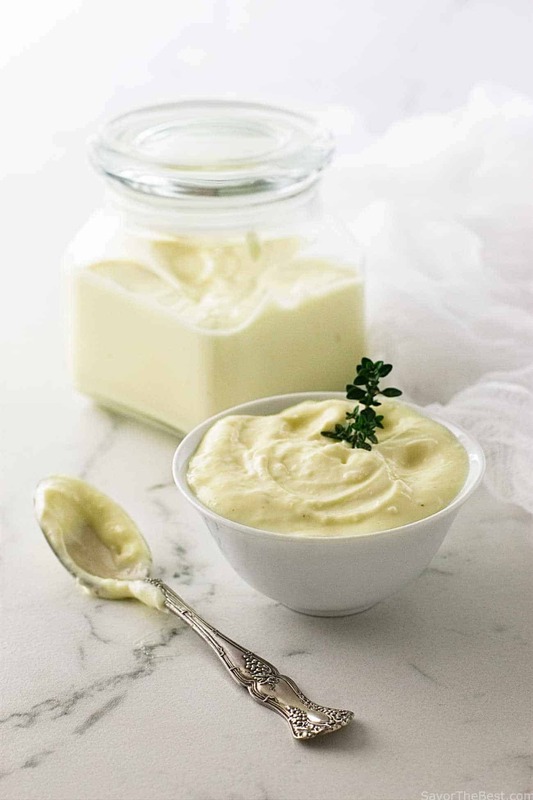 The sauce will become thick, creamy and look like mayonnaise. Alternating between the oil and lemon juice is the secret to proper emulsification which creates the light and fluffy garlic sauce. Store in an air-tight container in the refrigerator for up to 1 month. It is important to make sure that all your equipment is dry. If even a drop of water is on your measuring cups, spatula or food processor the water will prevent emulsification. Adding the oil or lemon juice very slowly is also important to the success of this recipe. When you add the oil it should be in a very slow and thin stream, especially in the beginning. The entire process should take about 10 to 15 minutes. If the mixture breaks while adding the oil, stop adding the oil and continue pulsing until it comes together again then continue adding oil in a very thin and slow stream. We would love to hear from you. Drop us a comment below. If you made any of our recipes snap a picture and hashtag #savorthebest on Instagram. We love to see your creations! 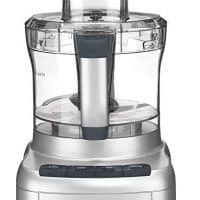 I was going along fine until my blender overheated and I switched to my food processor – the sauce gpt quite warm – is it still good to eat?? Yes, Louise, it is still good to eat, I am not sure if the texture will be the same if it is heated but it will still be super garlicky. 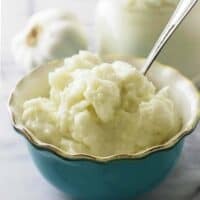 Can this recipe be made using a blender instead of a food processor? We haven’t tried it in a blender but I don’t see why it wouldn’t work if your blender is large enough. This sounds amazing!! 2 questions though. First, can you halve the recipe without affecting the results? Second, can you freeze this in small quantities to take out as needed? Ann thanks for asking, yes you can freeze this garlic sauce. It should last for 4 to 6 months if you keep it well sealed. 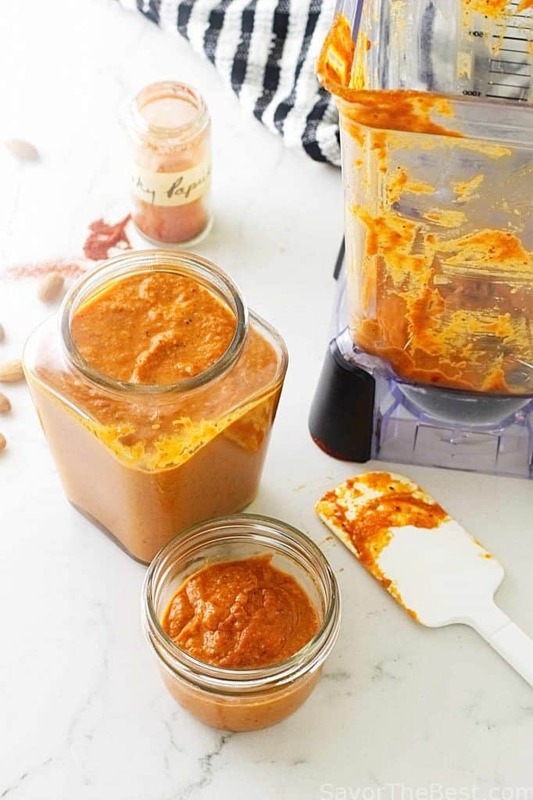 I have not made this sauce in a smaller portion but as long as the blades of your food processor are not free-spinning above the ingredients then you should be able to reduce the quantities without affecting the results. We have never had a problem with having too much of this sauce though, especially since it keeps so well. This is AMAZING! Our two year old says Daddy stinks and our 7 year keeps running from me when I try to breathe on him. We can’t figure out why!? My husband asked me to make this and Pinterest brought me to you. Thank you! This sounds amazing! I need to try it asap! Love garlic!! Yowsers that sounds wonderful a real garlic punch I can think of a gabazillion ways to use this. We love garlic and I so going to make this..! I’ve tried making toum before and it’s never turned out quite right but I’ll be using this recipe to give it another go! I had something similar to this in a Greek restaurant, but it had a lot of potato in it. I love this recipe and will try it for sure. Yum! Why can’t you use olive oil? Hi, Kinkdi…that is a really great question! 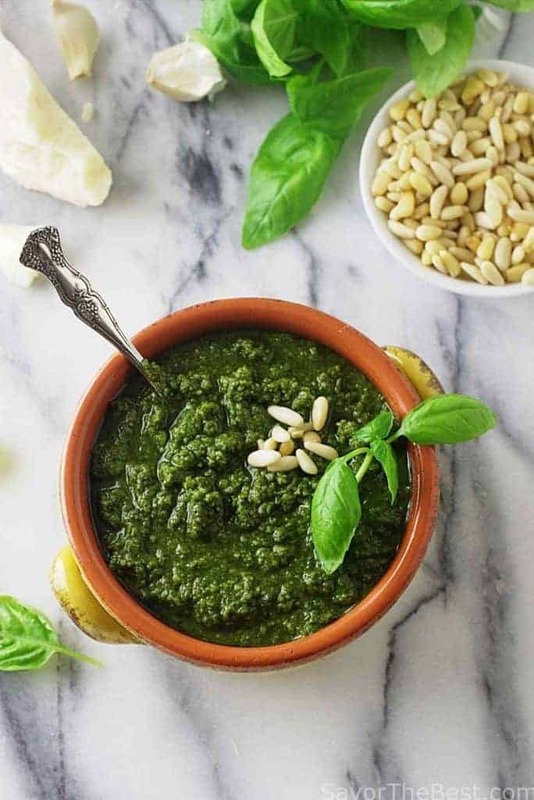 Basically, olive oil, especially Extra Virgin Olive Oil can have a very distinctive flavor and can influence the finished taste of the garlic sauce. A mild oil, such as canola or corn oil has a less pronounced flavor. Thanks for your great question! This sounds AMAZING. I’ve never tried garlic sauce like this before, but I totally want to give it a try. I especially love your idea of using it as a dip for fries. Major yum! I think this would be absolutely divine brushed on kebabs! 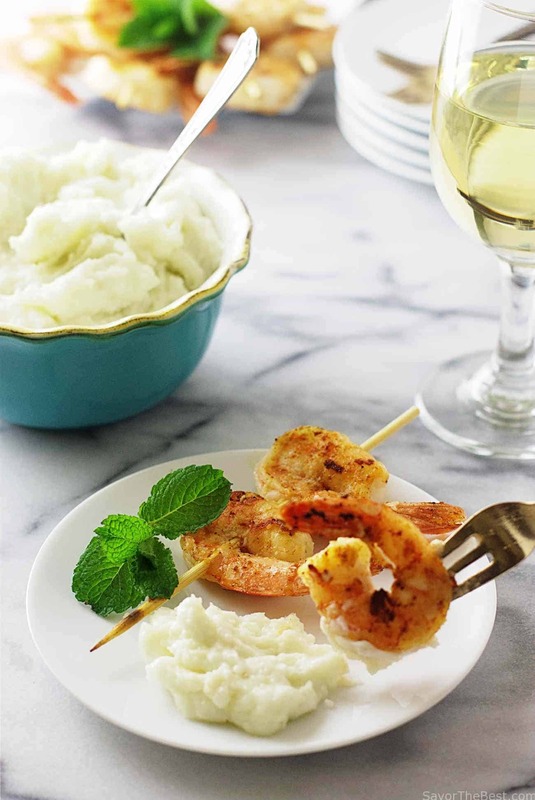 Looks fantastic, would love to have some for our dinner tonight, pinning your recipe! It is fantastic, Patty! Thanks for pinning, I’m sure you will enjoy this sauce. We have discovered middle eastern food goes over well in our house. Tzatziki, tabbouleh, za’atar (on anything), and I have been looking for this recipe after someone who posted similar took down their recipe (or stopped paying for their blog). Can’t wait to try it, though we’re changing it up and chimichurri is on the slate for this week). Pinned and shared! My sauce was perfect and then all of a sudden turned liquid. Is there anything I can do to save it? It’s my second time making it and it was great the first time around. Thanks for the recipe! Hi, Natasha…I’m sorry that this happened to your lovely garlic sauce. I had the same experience once and it was due to my vita mix heating up. I don’t think there is a repair for your ruined sauce other than including it with a marinade. I recommend beginning again and as soon as it becomes ‘perfect’. Glad to hear that the first go was a success for you. Can you share the settings on the vita mix that you use please. I have tried to make this twice without success. Thank you. Alex, we usually use a food processor with this recipe. Our processor only has 3 settings… on, off and pulse. 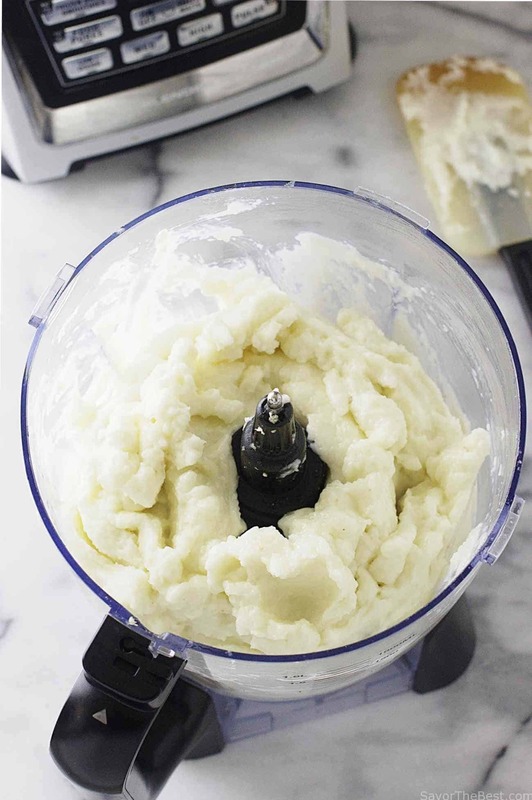 In the food processor, keep the power on continuously and then drizzle the oil VERY SLOWLY. The first half cup of oil should take you 2 to 3 minutes to complete. You can do this in the vitamix as well, just keep the speed at a medium-high speed on the vitamix but it is more important to drizzle the oil slowly and to make sure you don’t have any water in the container. Love the sound of this. Absolutely giving this a try – thanks for the recipe! Oh yum! Lebanese food is my favourite and this sauce looks really. Good. I will have to try it! Oh my, so much garlic. Sounds wonderful. I make aioli quite a lot, but this is something else all together. We’ve just harvested our garlic so have loads. I might just have to try this. I made the garlic sauce just like the directions said & mine is totally runny with the oil all on top. I took my time & alternated lemon juice & oil. What happened? Thanks, Maureen…..it is good stuff! Oh, this looks terrific! I love garlic, so you know this sauce is right up my alley. Good job — thanks.